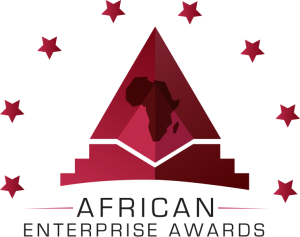 Time is counting down for this year’s African Enterprise Awards. Buy your ticket today. Here is the list of our 18 award categories for our annual awards ceremony and gala dinner. Successful entrants will need to show excellent and outstanding achievement in all aspects of their organisation. The judges will be looking for strong growth, innovation and leadership as well as a clear vision. This award is looking for innovative young thinkers who have served to raise the profile of their business significantly over the past year, developed exciting new ideas to tackle problems, and are on track to play a high profile role in the future. Seeks to recognise creative and excellent journalism from individuals that are leading the way in their industry. The judges will look for journalists who led their field – breaking news and/or analysing trends and throwing light on African issues for a wider audience. Highlighting the best in business across the entire media industry, whichever platform is utilised – be it print, television or online media. Our aim is simple – to celebrate inspiring and creative ideas that are changing the way people look at Africa. The winners of this prestigious award, stand out as truly excellent ambassadors of African cuisine. They successfully combine the provision of enjoyable food, a great atmosphere and a warm welcome with a high standard of management. Presented to the leading individual that has provided unique and significant contributions to their field, through the use of cutting edge theory and practices. To honour the most outstanding UK based organisation, currently raising funds for African causes. Contributions towards raising the standards of charity management in the many and varied fields will also be recognised. Awarded to those who have made waves in their industry, achieved major recognition and in general have done the most to influence the events of the year. The community champion of the year will have worked tirelessly to engage, involve and consult the community; someone who has got to the grass roots of communities, made strides to really understand their priorities and campaigned on issues that matter to them. Any company originating from Africa that has relocated to the UK will be eligible for this award. The winner will demonstrate an understanding of their competitors, customers, and the markets they operate in; and have the foundations in place for continued commercial success. This accolade will identify the private equity firm, turnaround practitioner, bank or alternative finance house that has shown the greatest commitment to backing African investments and projects. To recognise exceptional and outstanding achievement by African nationals working for UK companies. Awarded to those who show high levels of overall performance in the context of the firm. This category aims to award outstanding achievement in companies who currently trade with Africa. The company should have a proven track record in export, demonstrate its current export strategy including plans for growth in existing and new markets. The Company of the Year will be the best of the best, the business which in the view of the judges stands out from the rest. To win a company will need to show a very strong overall performance during the last year. Non-African companies that are active in African communities will be eligible for this award. The winner will demonstrate an understanding of the African communities, customers, and the markets they operate in; and be working to ensure a continued success for these relationships. Awarded to individuals who have played an outstanding role in promoting the growth of business enterprise and/or entrepreneurial skills in other people for over 20 years. Awarded to the most successful and inspirational women leaders in business. Recognising the best of the best, who will leave a legacy for the next generation of Women. Awarded to the most successful and inspirational leaders in business. Recognising the best of the best, who will leave a legacy for the next generation to come. African Enterprise Awards 2019 will be seen by a global audience. We invite you to be a distinguished sponsor of our prestigious black-tie event to access African professionals and entrepreneurs including all African nationalities irrespective of their color, culture, or faith in the heart of Africa.